Upon receiving well wishes from many friends and colleagues during my last month, week, then final day as March of Dimes Canada’s President & CEO, I may not have expressed fully the appreciation I truly felt, for that feeling was coupled with regret, (for sure I am leaving), confusion (about what really is next), dismay (for the sudden decision despite giving a year’s notice), and surprise (finding myself having arrived at age 70.) I most sincerely thank all staff, volunteers, board and committee members, donors, colleagues, vendors, consultants, consumers and friends who have shared the journey or part of 37+ years with me. It’s been a challenging, joyful, sometimes heartbreaking but always rewarding ride. What I have learned can’t even be summed up. You have shared your knowledge and skills, passions, expectations, failings and achievements, laughter and tears, and we have made a better community, a better Canadian society, and better lives for countless people. I extend warmest best wishes to my replacement, Leonard Baker, now President & CEO. I am full of gratitude for having had fulfilling work, a welcoming environment, great team mates, and many leader/collaborators. Not for a day did I ever experience doubt about March of Dimes, though many a day I doubted my own capacity to move things forward. Often nervous to speak to a group, worried that I might not have an inspiring message, I found inspiration in the receptivity and acceptance that was sent my way. Thanks for being willing to listen, to giving voice to your own thoughts and needs, and to helping move the agenda along. Thanks to those who offered new challenges, and to those who acted on their own initiative. The future for people with disabilities in Canada is much brighter for the work of the entire MODC team–in service, in advocacy, in fundraising, in administration, in IT, program development and planning, research and marketing/communications. May your every day be a great one. But, I cannot end my message here, for with every well wisher who asked, “Are you going on a trip?”, “Have you taken up a new hobby or pastime?”, “Do you have any plans?”, I have responded that I am leaving March of Dimes in order to give more time and commitment to fighting antisemitism. That may seem remote from working for people with disabilities but it is not. People with disabilities have experienced extreme discrimination, prejudice, unfair judgements and unequal access, and all can’t be rectified with just greater attention to buildings or more legislation. Attitudes make a huge difference. Jew-hatred or antisemitism today isn’t about unfair access, which it was in the past and worryingly could be again in the future. Antisemitism is expressed in attitudes, belligerence, vandalism, displays of intolerance and the repeating of lies, and it is very much a part of the singling out of Israel for discrimination and retribution. A country that is the only Jewish nation state, is constantly accused of being an evil empire when it is the only country in the Middle East and North Africa that has full rights for all of its citizens, that has equality for LGBTQ folks, that has accessibility as a mantra for all developments new and old, that has contributed more to technological and medical advancements for mankind that any other small or large nation, that is religiously and racially diverse, that sends medical teams to every country experiencing a man-made or climate disaster, and that has rescued and treated its enemies. The oldest religious hatred is antisemitism, and the worst acts of evil were perpetrated against Jews, almost from time in memoriam. In our free and democratic society, most people cannot imagine anything so outrageous as the Holocaust, but it happened in a civilized, sophisticated society, so it can happen again. The enemy isn’t one type, it’s many. It is well documented that the political extreme right and the extreme left are both anti-Semitic; and radical Islamists and Neo Nazis have much in common. They desire to eradicate those who don’t agree with them, starting with the Jews, and both operate in a free society. We must learn not to tolerate the intolerable, to quote Eli Weisel, Nobel peace prize winner. This past Saturday, in a synagogue in Pittsburgh, as Jewish men, women and children prayed, with their sanctuary open to all who wished to enter, a man entered with guns loaded and committed a heinous act of carnage, killing 11 people and wounding more. I can’t stop this from happening here in Canada. I can’t just pray for a light to shine in the hearts of evil men and women who would destroy the Jewish people, our institutions, and would like to destroy our one small Jewish state, but I can perhaps make a small contribution, and I must. So, I am leaving March of Dimes Canada to devote my time to working with organizations that hope to fight and defeat antisemitism, antiZionism, anti-Judaism. Anti-Semitism didn’t explode today – it’s been exploding for so many years. It’s the oldest hatred of all – and also the most unifying, because it is the one thing the extremists on the left and the extremists on the right can agree on. Since World War II ended, it often lived on the fringe of society, but not anymore and hasn’t been for a while. Now it’s mainstream, is festered in political parties around the world, broadcast by those who call themselves leaders of morality and liberal values. Hatred is uniting and Jews are once again – as they’ve often found themselves throughout history – caught in the middle. Today, Jews were attacked, not because they were left wing or right wing. Not because they were conservative or liberal. Not because they supported Trump or supported Clinton. They were attacked because they were Jews – it’s really that simple. Only a few months ago, on January 17th, we lost one of the longest serving Board members of March of Dimes Canada, March of Dimes Canada Non Profit Housing Corporation and our US subsidiary, Rehabilitation Foundation for Disabled Persons. David Logan passed away at age 79, and at this time, we honour him and remember him. Dr. David Logan was a member of the Board when I joined Ontario March of Dimes in May 1981. David made consistently strong contributions; he served as chair of many committees and was Chair of the organization for 3 years, telling me he was waiting for the time he could assume another multi year term. He served many years as Chair of our non-profit housing corporation and he loved that corporation, as much as he loved MODC, because he could see the significant tangible results – homes for people, people about whom he cared a great deal. David was that rare individual who read and worked in many fields, a real eclectic when it came to his interests and philosophy. He was a scientist who valued those with lived experience; he was a biologist who also loved and taught American history; he was a man of ideas who built homes for his friends, fixed cars and tractors, and farmed outside of Toronto; he was chivalrous in my view, and a man who supported equality for women throughout his entire adult life. He demonstrated that one could pursue intellectual work and carry out manual work, for he loved both. David, whom we all experienced as “larger than life” was actually a very shy man; an introvert who held his friends fast and was extremely loyal, he eschewed crowds and chose not to attend big fancy events, often requiring me to cajole him to represent MODC at fundraisers. He didn’t want recognition or honours so to bring him the Volunteer Canada Award, I had to set up a secret plan with York University, where he was an Associate Professor for many years, and sneak into a class in order to present him with this Award. Yet, it was David who created the Paul Martin Sr. Rehabilitation and Biomedical Research Fund at March of Dimes and then the Jonas Salk Award so that we could honour great Canadian scientists. He wanted MOD to be both a contributor to science and a recognized leader in acknowledging and using science that can help improve the lives of people with disabilities. As another example of both his determination to do good and his solitary style, David would help me and other staff to create committees and then choose not to have other members. He was fine with committees of one which always got a lot of work done. Yet, he worked well with our board, understanding governance beyond the average volunteer. David made sure that fundraising was on the agenda at board meetings so that every director knew he or she had to support the organization, directly and in many other ways. I enjoyed David’s friendship and mentorship. David taught me to cherish life and share its joys, for we live in a great country, with a focus on opportunity and equality and we can make the most of both for the benefit of all. I have had the honour of twice being asked to give the convocation speech at U of Guelph-Humber and hope that some of the words I imparted will resonate with the students who attended, and with my friends and colleagues who read this post. I am adding a link to the video of my presentation, and a PDF version, in addition to having the words printed here, hoping one or the other format will be accessible. This is my Convocation Speech, June 20, 2016 to the Business Administration graduates 2016. It was a lovely surprise and it is a great honour and pleasure to have been invited back by the University of Guelph – Humber to deliver a second Convocation address. At the convocation in 2013 where I was also incredibly honoured to receive a Doctorate of Laws Honoris Causa, I chose to reflect on the lessons in life that I had learned from my children, and how they could be applied by everyone in helping to build an inclusive society for people with disabilities. I wanted to impart to parents, faculty and students, the idea that not only are our children special because they are inquisitive, imaginative, incorrigible, delightful, disconcerting, challenging, sometimes hilarious, sometimes frightening, and most importantly, unique and wonderful people, but they may teach us, the adults in their lives, in mysterious ways. Our kids show us ourselves sometimes, they show us the world up close because they don’t see the far and wide, and in interpreting or even magnifying their perspective, we, the parents, can get a whole new perspective on life. Today, I want to share with you, some reflections I have had about the various people who have influenced my life (other than my three 20 something children); and my purpose in doing so, is to encourage each and every one of you, the graduating class of 2016, to think about life lessons you’ve learned from those you love, from people you remember who may have come into your lives, sometimes only briefly, or who have remained important to you until now. Think of people who have impacted you, in your attitudes, beliefs, choices, relationships, goals, or preferences in any way, and how they may have influenced you. Think about how you would honour them, if what they shared remains important to you, if it has influenced you, and how you intend to use the life lesson that they imparted to you. Take a moment and think about one individual who has meant a lot to you, and why that is so. Sometimes we have a long, enduring relationship with people, such as with parents or grandparents, friends made in kindergarten or same age cousins, people with whom you may have enjoyed many personal experiences. Here is the challenge. Do you recall some special or positive message that you gained from that special person? Sometimes, we have but a fleeting or short-lived contact with an individual, perhaps a colleague, a summer romance, a university roommate or class mate, a prof, a priest, imam or rabbi, or a project partner, or even a fleeting encounter with a stranger, and it has a lasting impact on our lives. No matter the source of the contact, it strikes me that these relationships may often have a great influence on us that we don’t at the time acknowledge, nor even notice. Sometimes we don’t even know the source of something that influenced our thinking or behaviour. Such influences are obviously important, for they shape our personality, our morality, our life course, and our overall contributions to our families and society. Yes, you have spent years acquiring knowledge, learning or honing new skills, and gathering together the elements of a necessary resumé for your next adventure, a job. Does it really matter if small gestures affected you, or influential people in your life helped set your direction? Does it matter if you don’t know where these influences, these ideas and attitudes come from? I think it does. When you think back on your academic years, the hard work, and the social life, the stress and anxiety, and the happy times you have experienced at the University of Guelph, I hope you will think about the friendships you’ve made, the people you met and the very culture of the university experience. Take away a recollection of how you were when you came to university a few years ago, and along with knowing what you have formally learned, think of how you have developed, matured, taken on challenges, identified opportunities, gained insights into how others think and feel, how “the world turns”, so to speak. Recognize what is in your heart, what you now can offer the world, and how to translate that into action. I would hope that some of the “lessons” learned include values such as respect, tolerance, mutuality, collegiality, kindness, cooperation, patience, perseverance, commitment, curiosity, a desire to pursue greater insight, to exchange opinions, analyze situations, and take a longer term perspective on your decisions. Not everyone will have encountered the same issues, be they positive or negative at the time, but life lessons can and will be drawn from many everyday situations. So think about this fact, be open-minded and critical, be aware of what you have absorbed. Be aware of the people you encounter and say thank you to them. Let me give you a few personal examples of what I mean when I speak about small exchanges or experiences that can influence your life, that need be taken into account. When I was in high school, decades ago, I was shy and unconfident, and my late father was an introverted intelligent man, who worked long hours at a job he did not enjoy, that did not feel fulfilling to him, though it provided for our family of 4, he preferred reading and watching sports on television, to any social activities. I thought of him as a bit of a recluse, but one day, when I helped out at his store, he talked to me about being kind to friends and strangers alike. What he said, has been played over in my head for over 50 years, and continues to affect me. He said that he noticed when he was in high school that most young people ignored the students who were shy, who were different, who were not popular, the students who were not demonstrative often got no attention. Maybe they didn’t mind, maybe they were just private, quiet, unassuming. I don’t know, but I always imagined these might be “nerdy” kids if that word would have been applied in the late 1930s. However, one young woman really caught my father’s attention, because she said “Hello” and smiled equally to all whom she passed, including those others ignored. He always thought her consideration and friendliness was outstanding. He never actually used such grandiose terms as “inclusive” or “magnanimous”, but the fact is, he made me aware that everyone deserves consideration, and that this young woman had a generous heart. That in acknowledging others, even with a smile, this young woman brought smiles to the faces of others. I think you will find that if you do smile at people, they will most often smile back. That makes any day a better day. I am reminded that a little kindness goes a long way. My grandfather, an immigrant from Poland with a grade 3 education, was a gentle, soft spoken man who cared deeply and committedly for his family, extending to dozens of relatives. He had been fortunate to leave Europe before the Holocaust and successfully brought many of his family to safe harbour in Canada, Some were not so lucky, but when my grandfather spoke about his life in Poland, he did not recount the instances of discrimination, of outright anti-Semitism, or the loss of several branches of his extended family. Instead he told me, that truly there were good people in Poland and that we should seek out the good people, that in every culture and community, among every faith and ethnicity, there are good people, and they are no different from us in their wants and needs, their desires, and hopes. So, I have travelled extensively around the world, and always remembered to see the good in all people, and to find the people with whom I can share what’s important, and to build lasting friendships with people of all backgrounds, ethnicities, cultures, and creeds. We all have a basic human spirit with the capacity to cherish friends and value differences in a positive way. When I began my career, following graduation from UBC’s School of Social Work, I went to work in a small provincial agency, the Social Planning and Research Council, based in Vancouver. One of my first tasks when I was only 23 was to hire my own secretary. It turned out that the woman I hired had 12 children, all of them living at home when she began working with me. Jokingly she said to me, after shocking me with the facts about the make-up of her family, that arranging dinner was as simple as opening a can of tuna. Of course I never believed that one can fed them all, but it was Jenny’s warmth, humour, her fortitude and quiet persistence in finding her own fulfillment when coming back to work while raising a family, that has stayed with me. I admired her, learned about patience, resilience, and compassion from Jenny, as well as how to stretch a dollar. My second hire was for a part time colleague as the work around me grew, and again, I hired someone older and more experienced than myself. The woman I hired was twice my age, and of European background. She had a firm, quiet dignity, a great command of expressive language, and a twinkling eye, and she spoke often about learning from others, about interpreting every moment as a teaching or learning moment. So, I thank my dear departed friend Lenore, for influencing me to think about how small things matter. She spoke about and demonstrated integrity, respect, dignity, and tenacity. Sometimes in words, sometimes in allegory, sometimes just in recounting her own struggles. She was a dear friend, though the age of my mother, but a true friend who would have pulled me out of any hole, covered my backside so to speak, or sat me down and talked me through any conflict. Always she emphasized this, be true to yourself. One last story, and this comes from a very much more spiritual place, but the context in which I heard it is less important than the substance of what I heard. I can’t recall which rabbi delivered this message. I attended very few synagogue services in my early adult life, though I visited synagogues in every country to which I travelled whether in Asia, Africa, or Europe. I recall a sermon about the importance of “truth or loving kindness”, and when kindness is more important than truth. Now, who would put those two words together in an either / or statement? Ought we not always to speak Truth? Ought we not always to be Kind? Well, this is not about speaking truth to power, which I uphold as a virtue, this is not about breaking bad news to people who need to know something even if unpleasant, nor about speaking the truth in testament which for legal and ethical reason is an imperative. Truth must be upheld and should rule the day in order for justice to be upheld. However, in human relationships, truth can hurt, such as when someone pointedly tells you that your dress is not attractive, or your friend has gossiped about you, or when you use it as a weapon to get something you want. Think of friendships and the lasting impact of speaking a truth that is not necessary to convey. Softening a message in order to be kind, such as in complementing someone, accepting their contribution or gift, acknowledging their offer of assistance even when you don’t need it, are ways of expressing kindness and showing appreciation to another person. Sometimes, just saying nothing is the kindness. This is I think an important area for consideration, especially today when we live in an unbelievably revealing world where too much information is often a problem. I am sure this will lead to debate at your dinner table if you ask, “is truth always an imperative in human relationships“? Some people might think I am advising that if you have an affair you ought not disclose it, or if you have cheated a friend, you should not tell the truth. I am not speaking of deception, nor condoning any lies. I am trying to define that small place for not speaking unkindly, not spreading gossip, not destroying another’s confidence or reputation, nor for emboldening oneself at the expense of another person. So, I stand before you, humbled by the experience of being here to address you. I know some of you have immediate after graduation plans and others of you not so much, but I am sure you will all find your way. Have confidence in yourselves, celebrate your achievements, both scholastic and in all other areas of your life, go forward and have much success. I know my words will be soon forgotten, but this is what I hope for each of you; that you pay attention to small things in life, acknowledge people who come into your life, think for yourself about what matters and about what should be remembered, use what you learn to influence both your life and the world, and let it all be in a positive, constructive and humanizing way. Remember, all people matter, at the core, no matter our various cultures, ages, faith, ethnicity, gender or education. All people want a better future and together we—now YOU—can achieve it. My personal best wishes to each and every one of you. Have a joyous day ! On March 9th, 2016, I had the pleasure of being a keynote speaker at one of the business conferences of the Conference Board of Canada, held in Mississauga. The topic was the Ontario Employment Standard and because it is so very important, and March of Dimes Canada is both a significant employer, an advocate and a consultant on accessibility standards, I am including my entire presentation here. Employment Services represents almost 18% of March of Dimes Canada’s budget, and probably a greater percentage of the actual work done by March of Dimes, given that we provide vocational assistance to over 7,000 people with disabilities each year. As like many Canadian families, I have firsthand experience with the economic, psychological and social impact of disability, having had a mother who suffered permanent mobility challenges from the time I was very young and she only 28 years old. My focus today is on three aspects of today’s theme, Making Employment Practices More Accessible in Ontario. Firstly, to present the experience of March of Dimes, a major employer in the not for profit sector, secondly to underscore some of the “employment practices” that might most easily and immediately be considered in your own workplace, and thirdly to offer March of Dimes’ support to businesses which are committed to meeting the new Accessible Employment Standard in Ontario. To set the context for March of Dimes experience as an employer, I think it’s very important to understand the philosophical, political and cultural underpinnings to our approach to fostering total acceptance and inclusion of people with disabilities. March of Dimes was founded in the early 1950s to provide lifesaving support to people affected by poliomyelitis, and to fund a cure or treatment for survivors of this crippling disease. Once the polio vaccine was universally approved and immunization a public health program, March of Dimes offered a variety of services to the survivors who had lasting disabilities and through the 60s and 70s expanded to serve people with all types of physical disabilities. This was a time of changing attitudes about disability, from one of despair, isolation and even disengagement, to one of hopefulness, integration and engagement. In the mid to late 60s, those with disabilities had not yet been given many opportunities, but were beginning to move back to community from large scale residential facilities and from sheltered workshops into mainstream employment. Citizen advocacy was on the rise, and following the Civil Rights movement in the U.S., and then the women’s movement, the disability movement took hold in the 70s, with leadership from among people with lived experience. Sometimes, this was encouraged and even fostered by NGO’s and funded by government. In the late 1970s and early 80s, March of Dimes had a workforce of about 180 people that rose to several hundred by 1984, and at that time 30% of our employees were people with disabilities. We were very much ahead of the pack, our employment statistics were better than perhaps those of any other Canadian company, in any sector, and the type of jobs were quite varied. The range of positions held by those with disabilities included Procurement Officer, Program Manager, Administrative Assistant, Regional Director, Assistive Devices Counsellor, Government Relations Assistant, and Fund raiser. There was no employment equity legislation, there were no regulated quotas, no ODA or AODA, but at March of Dimes, there was a strong board and management commitment to the recruitment and hiring of people with disabilities. One of the early successes related to a subsidiary entity called Operation Reliance, that was headed by a former Canadian Olympic skier, Wade Hampton, who himself became disabled as an adult when stricken with polio. Wade became a successful stock broker and radio broadcaster, but not before he dedicated himself to the pursuit of fair employment for people with disabilities. He was one of my early heroes, serving on our board for over 40 years and never losing his focus on equity for people with disabilities. He was a great example of what people with disabilities had to do to prove their employability, they had to be better than able-bodied employees, look particularly “normal”, not challenge their employer about accommodation needs, and take great risks, especially if working meant getting off income support when it was not easy to get back on such a program. March of Dimes sought to find like-minded and aligned employers, and in the late 1980s we closed all sheltered workshops in favour of vocational rehabilitation, job placement and job coaching and worked with employers to identify and sometimes modify work that could be done by an individual who had some limitations. Thus our Employment Services department became professionalized, work expanded and our clients became those job ready or seeking training and support to become job ready. Wade Hampton represented March of Dimes in Ottawa when the late Honourable Flora McDonald first introduced Employment Equity legislation federally in 1995, requiring government and its agencies and contractors to set the example and hire people with disabilities. It was new territory in Canada, and March of Dimes was one of the first to push for this legislation. However, beginning in 1994, our own population of people with disabilities declined as a proportion of our workforce, and has steadily declined so I feel a need to address this with you. Growth in our funding and service provision has largely been through expansion of attendant care support, this means hiring many front line workers who provide aids to daily living such as feeding, bathing, dressing and other personal services. This is work that requires a significant degree of strength and mobility. It has meant that if we include all employees, now only 3% of our workforce has a disability, but excluding the almost 900 attendants, 8% of our workforce today is composed of people with disabilities. We know that not everyone will self-identify on our employment equity hire form. No one is compelled to disclose of course. And we know from public policy and health studies that the largest disability affecting employees today is in the mental health field, so bear this in mind when implementing best practices because this population too must have your consideration, and will be far less likely to self-identify. 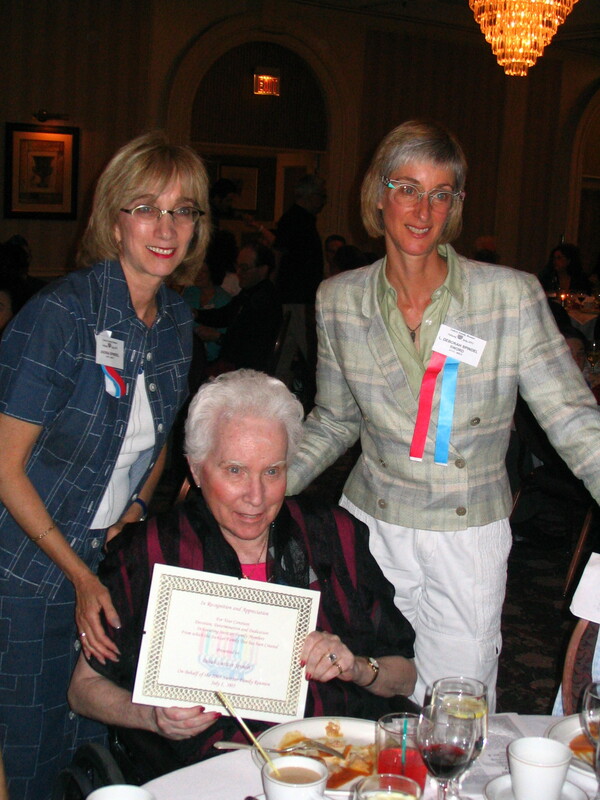 Through action and advocacy, we subsequently worked on provincial legislation to address all aspects of inclusion and were thus very much involved in the formation and adoption of the Ontarians with Disabilities Act which was proclaimed in 2001 and implemented in 2002, and later the Accessibility for Ontarians with Disabilities Act of 2005. Because the ODA had limitations, was complaints based and did not achieve it’s hoped for outcome, successor legislation took a different approach. The Accessibility for Ontarians with Disabilities Act, the AODA, deviates significantly from the ODA, in that it proscribes standards for implementation, monitoring and compliance, and has an enforcement mechanism, though that has yet to be demonstrably implemented. This Act states what is to be done and does not focus on disability but on accessibility, laying out changes in many aspects of business processes and infrastructure, that could constitute a cultural shift, redefining how society should operate, and focusing on areas in which many sectors can improve in order to achieve full inclusion for people with disabilities. The former legislation outlined a complaints based process for which a Human Rights complaint need be brought against an employer or facility that discriminated against a person or denied a service by virtue of that person’s disability. The onus was on that person to bring a compliant and prove discrimination. The onus for accessibility under the AODA is on the employer, owner or provider of a service to report that they meet the standard or if not, how they are going to go about meeting it and by when. The AODA is a major move forward, a first in Canada, in setting standards or best practices in the areas of customer service, employment, transportation, communication, public spaces and the built environment. Failure to meet it can, but seldom does result in a penalty. This fact may not be helpful. March of Dimes has contributed to all the reports studying the impact of the AODA and supports a position for increased enforcement, for as with other legislation it makes a difference. For example, we don’t just talk about seat belts, speed limits, parking restrictions, no smoking environments, etc., they are all the law and all are enforced, sometimes with lots of peer pressure as well as legal mechanisms. However, our primary commitment is to educate the public, the owners and employers, and to help all achieve the desired outcome, full inclusion of people with disabilities. So, how have we addressed the AODA internally and what has worked? We were sure we would satisfy every standard because internally we already had an affirmative hiring policy, accessible documentation, a policy to only lease or rent totally accessible facilities whether for office space or a one time meeting, conference or event; and that along with a resource tight budget, was not always easy. We had experience with adaptive equipment for employees with a disability, from accessible hardware and software, use of a TTY phone, to hosting a helper dog for a visually impaired employee. We had provided flex time and were the first in Canada to challenge the insurance industry on their exclusionary coverage of people with a prior condition, showing them that a permanent disability did not automatically mean a higher rate of claims for illness, but in fact that employees with disabilities often had better than average attendance records. However, we did a thorough scan after first creating an internal AODA committee in 2011 with representation from every department, and from across the agency geographically. With the first and then subsequent standards, we did an audit and we formulated policies that articulated our commitment to meeting the AODA standard and even exceeding it. We invited people to tell us what needed improvement and we communicated our progress. We posted our commitment in every office and provided updates in our employee newsletter. Like all of you no doubt, in meeting the Customer Service Standard, we required every employee to complete a training program, ours is online, and we include a commitment to this standard in every vendor and consulting contract. For employees with a disability to see a company taking seriously the fulfilment of their AODA commitment, adds credibility, builds loyalty, reduces feelings of exceptionality and builds team work. I would like to provide a few facts for you to consider how far we have come, know how far we have yet to go, and to see the pathway to getting there. Let me cite an example of a major cultural shift, affecting people born with a development disability, often complicated with physical limitations. At the turn of the 20th century, the average life expectancy of a person with Down’s Syndrome was 9 years and in the 1950s it was about age 21. The life expectancy for people with this condition has slowly risen each decade, to the point that now there are national and international meetings about people Aging with a Development Disability. In the 1980s, there were only sheltered workshops for people with an intellectual or development disability, but a decade or two earlier, there were only residential facilities where there was no work, little if any activities, and probably no intellectual stimulation as our ideas were archaic, suggesting that people with a developmental disability could not learn. Medical advancements as well as social advancements mean that people with such difficulties have been helped to live longer, to live in the community, to receive an education, to achieve a level of independence, and to contribute to society. Employment can be a difficult prospect for adults with developmental disabilities, and the U.S. Census estimates that only 20 percent of developmentally disabled adults are employed nationally. Yet jobs are important for disabled adults who seek greater independence and financial self-reliance. Knowing the types of jobs available for developmentally disabled adults is an important step in preparing for employment prospects. Today, we know that people with an intellectual impairment can be found working in many different settings, from retail shops, to restaurants to packaging and more, and it only requires that one assess the exact needs or tasks to be done and provide on the job training and support for the successful placement of a person with a developmental disability. Knowing the exact tasks, matching the individual to those tasks is what is primary. March of Dimes had a high proportion of employees who had had polio, and became a leading advocate for those who years after contracting the disease experienced Post-Polio Syndrome and often were too fatigued to continue to work, retired young, or even passed away. Yet, we have never moved off our position that people of all abilities be considered for employment, that it’s important to match skills and knowledge with the real needs of an employer, and to provide job accommodations to enable employment for people with disabilities. I would like to cite some examples to give credence to what I am saying. In the 90s we acquired software driven by speech for an employee who had a significant physical disability that included spasticity so typing was not easy. She was assessed as typing 8 words per minute, but she did all of the job well and we had no issues. We could see the huge struggle that this employee endured and the extra hours she worked to meet the job requirements. With provincial funding, we were able to add a talk-to-type program to her computer. This required a lot of work on her part initially as she trained the software to recognize her speech patterns and pronunciation in order to produce accurate copy. In addition, this young woman could not adequately handle paper so filing was difficult. When we learned that her father assisted her on weekends to get her filing done, we changed the job so that someone else did filing and she focused on key aspects of the job. For despite the level of difficulty that she experienced due to cerebral palsy, this employee had a BA from a very reputable Canadian university and had shown excellent skills with people, in government relations, in consumer service, and in her work ethic. For many years, we had a Community Services Manager at head office who had a vision impairment, so much so that she required a guide dog in order to navigate the building, the streets, and the wider community. Despite that, this Manager worked on a computer, handled our public advocacy portfolio, handled municipal representation on our behalf, spoke publicly and organized meetings, events and a variety of activities for people with disabilities. The accommodation that we provided was first and foremost, a welcome mat for the guide dog, and secondly, software that enabled the employee to work with little vision. This individual was raising three biological children and seemed to have no end of energy as a parent and a full time employee. Today, I have a few more current examples of accessible business practices for your consideration. These practices include documenting individual work accommodation plans for employees when required, especially after an injury or illness, create an active return to work process, as part of the integrated disability management system, and overall provide support and flexibility to enable an employee to assess their own capabilities and contribute ideas on how best to accommodate. For example, an employee with low vision provided her supervisor and our Health & Safety Coordinator with medical documentation and an assessment on her functional abilities. She required some assistive device and ergonomically appropriate equipment. Specialists in the enforcement of visual aids were consulted and priority given to addressing her IT needs also. With assistance from an outside vendor, she received special software and the applications she needed to be successful. In the last two years, we modified duties for a long term employee returning to work after a lengthy illness, returned a worker to work post-surgery, and more recently helped an individual return who suffered a concussion on her off time return to work. Each situation warranted very separate special consideration. The first employee had travel significantly reduced and some aspects of her job shared, but after several months, she chose to retire because of unrelenting fatigue. The second employee chose to reduce to part time, and the third employee has received some office set up modifications, flex hours and works more from home as she experiences a transition post-concussion, back to normality. None of these experiences are unusual and out of the norm. With an increasingly aging work force, they will be increasingly normal. Each of the three disabled employees had more than 15 years of service and range in age from 48-71. I believe key to their successful re-integration in the work place is respect, communication and accommodation. Not to provide accessibility or accommodation will cost an employer some of his or her best talent, waste training investments and lose role models and knowledge transfer agents. Hiring new people who have physical disabilities will address talent gaps, societal inequities, provide committed, dedicated employees, enhance customer loyalty, enrich the workplace, and of course avoid penalties. Doing it for the right reason will bring personal gratification. At March of Dimes Canada we also know that employers want motivated employees who are reliable and dependable. It’s important to match candidates to the exact needs of the employer and get someone “fit” for the position. This is true regardless of a disability, but even more so when placing a person with a disability. The nature of work is changing the prevalence of disability is changing. We need collaborative approaches to serve both the employee and employers. The Accessible Employment Standard of the AODA is a great starting point, because by removing barriers to employment, the goal of candidates increases. What can March of Dimes offer to assist business? Whether public or private sector, small, medium or larger companies, our consulting arm, AccessAbility Advantage®, can help you address each of the AODA Standards. Our joint venture partnership with Quadrangle Architects assures quality in accessibility audits and designs for the built environment, and our various assessors and auditors have experience and training in many aspects of the various standards. March of Dimes continues to focus on outreach and recruitment of people with disabilities, through a number of steps, including advertising that we are an equity employer, offering a welcoming work environment for people with disabilities, and an accessible workplace. We continue to strive to be among the best in class by addressing all of the AODA standards. I want to add something very relevant that I learned from our employees who participated in our recent Quality of Work Life survey, a survey conducted every 3 years across our organization, by an independent research firm. While the results on a large number of attributes is very good, you might be surprised by the response to a question about what drives employee engagement, obviously an attribute we value very highly. High engagement generally means high level of satisfaction, loyalty and commitment. In both our 2012 and 2015 surveys, organizational support for diversity was identified as one of the top three drivers of engagement. In 2012 organizational diversity was the number one driver and received a score of 82.3% while in 2015 it was ranked 3rd in importance by the average increased to 84.5% (client satisfaction and employee’s role in the organizational vision were rated 1st and 2nd). The description of this attribute is as follows: March of Dimes Canada values and promotes an environment that supports physical accessibility. People feel that MODC respects and values people of diverse groups including people with disabilities as well as those from minority cultures and ethnic groups. Our overall focus is on eliminating or preventing discrimination by changing society, creating accessibility for all people, and understanding that everyone in society needs to be taken into consideration, in order to optimize their independence and integration, making an inclusive society. The photo was taken over 9 years ago; my mother passed away on December 25th, 2007. She and I were very close and I still miss her, and most especially when I am with my young adult children and think about all the pleasure they give me, and how much I want to share it with their grandmother. It has caused me to reflect on the many things I want to share, some of which is incorporated in this article I wrote a few years ago. The article was shared with our donors and will be part of our Legacy Newsletter this month. I am sharing it here as another way to bring my mother and her journey into my memory. “My own mother became disabled when I was only five years old. Perhaps that, more than anything else, has helped me personally understand, in a most profound way, the importance of individuals maintaining their dignity and independence, no matter what the disability. It’s a core value that instructs our every decision here at March of Dimes Canada. This childhood experience deeply impacted my life choices. At age 34, having just started working at March of Dimes Canada, I took the unusual step at that time of making a Planned Gift to 4 charities through the purchase of a life insurance policy, designating the charities as beneficiaries. I understood that it was an inexpensive way for a young person like myself to make a significant difference, to give back in a meaningful way, even though it would only materialize decades later. For me, making a Planned Gift was also a way to honour several of the most important pillars of my life, to formalize these commitments: community, international development, Jewish life, and the inclusion of people with disabilities. It has been my privilege to work at March of Dimes Canada for almost 35 years. While I could not have known at 34, when I purchased my policy, that it would be such a long relationship, I did already know that working with and for people with disabilities was my calling. Making a Planned Gift to March of Dimes Canada made so much sense to me. During my time here, I have seen the life transformations that come from the services our organization provides to people of all ages and stages of disability. I have met with thousands of people whose lives we have touched, helped to establish programs that address their needs, and seen how advocacy enables change. I have worked with a remarkable team at March of Dimes and know their commitment is a major contributor to the success of the services we provide to the community we serve. I believe in the future of March of Dimes Canada, in the future of an inclusive society and in the benefits of planning now to ensure tomorrow’s important work — and hope that others share these values. The poem below has gone viral and been translated into multiple languages. It was written by an American high school student from a deeply religious community. While she has a belief in a “Supreme Being,” some might say she is too traditional or dismiss her as an idealist. In an age of “reason” or post enlightenment, it’s sometimes hard for some of us to get our minds around that which constitutes religious belief, what it means to believe in a “Supreme Being” or Oneness. It’s interesting that this concept was discussed recently on both Canada’s national radio station CBC and in a national newspaper. Why is there even an interest in talking about “God”? This young writer evoked a huge response in people; she helps us see how our individual lives are created by our own inner life. The world is a pretty evil place. Satisfaction and happiness don’t last. Now that you have read this poem, do share what you too think about it. For me, the idea that every day is important, valuable, ephemeral and then gone, is an important guide post for living. It probably comes with having passed the magic or mysterious age of 65, and knowing there are not 40 more years down the road. So, now I know that it’s important to make every day relevant, beautiful, lasting… in memories, in reflections, in hopes and aspirations? The young woman who wrote this did not know her poem went viral. I doubt that she wrote to influence others, but she has given a lot of people something to think about, something to believe in. She understands that our thoughts and attitudes, our decisions are ours, and we create our own satisfaction and happiness. The world is indeed dark in many places these days, and the suffering is immense. It’s imperative that we each take responsibility for our own world view, and bring contentment through our personal perspective, and in so doing, we can indeed influence reality more broadly. I commend Ms Gorkin for her novel, heartfelt poem, and urge others to see the light in the world, and do more to illuminate it. Everything can be taken from a man but one thing: the last of human freedoms — to choose one’s attitude in any given set of circumstances. It’s Spring again, and with it we celebrate the renewal of the planet, the return of nature’s greenery, the sunshine on our faces, the rain showers replacing sleet and snow, and the promise of summer. Since the story of Moses appears in the Holy Books of all three Abrahamic faiths, I am going to risk being particular and talk about the message of Freedom. What does it mean to celebrate Freedom, what does it mean to be a free people, and how does that relate to the rights of people with disabilities, or any marginalized people? How can we extrapolate from one cultural experience and benefit another? 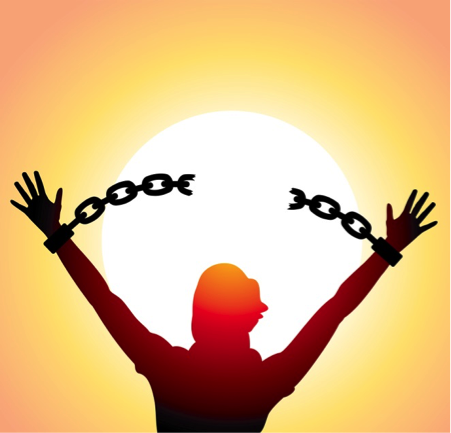 The Freedom from slavery described in Exodus is literally physical freedom, as slavery affected several generations of Jews in Egypt, (following the time when Jews had been welcomed by the Pharoh because of Joseph’s successfully interpreting Pharoh’s dreams and preparing Egypt to survive a great 7 year drought.) Jews are required to consider that in every generation we must free ourselves from slavery AND remember that we were once slaves in Egypt, and therefore, work to free others who are enslaved. According to the scriptures, (or the myths whichever one prefers), the Jewish people became too multitudinous and the Egyptians feared or were jealous of their success, so they declared them non Egyptians and enslaved or bonded them to work for the State, and the story goes, used their labour and denied their rights and freedoms. As time went on, their number must have still increased for Pharoh demanded the death of all Jewish male children. One child is saved, Moses, who is rescued by Pharoh’s own daughter, and as the story continues, he grows up to challenge Pharoh, and eventually wins freedom for his people, taking them forward to claim the land that God had promised. What is inherent in the story are the many ways that “freedom” can be interpreted. All of the people are to be “equally” free, not some demeaned by others, or having fewer freedoms. Today, as Jews study the story and tell it again and again, each year remembering and renewing a commitment to freedom, we are required to think about the concept. Are we free of things that hold us back from achieving what we are capable of achieving? Are we enabling others to be free? Are we free to express our views, to access services and to participate actively in our society? Are we among the voters in a democratic country? In other words do we appreciate and express our freedoms by active engagement? It is really not that long ago that women in Canada did not even have a vote!! Voting rights for women were introduced in several provinces in 1916, then in 1917 in others, but federally not until 1921. One of the icons of March of Dimes is The Honorable Ellen Fairclough, first Canadian federal cabinet minister and a former Chief Marching Mother. I recommend reading the entire Charter document which describes other freedoms that we cherish. We should think about other ways of viewing freedom; for example, freedom from other people’s perceptions and attitudes that hinder acceptance, be it socially, psychologically or morally. These are harder to define, but this speaks to the idea that ‘justice needs to be seen to be done,” not just that it’s said to be done. So, appropriate customer service in retail, access to recreational venues, fair pricing for transportation services regardless of disability, support in caregiving, and other softer areas of life, are now addressed in the Accessibility for Ontarians with Disabilities Act, and this Act has just undergone a major review. The Act declares that Ontario will be barrier free by 2025 and as it’s been in place since 2005, we are at the half way mark. While still a long way to go, in my view, this Act makes concrete the ideas of freedom, including inclusivity, accessibility, equality of opportunity, and basic consideration in seeing people with disabilities as people first, disabled second. So, as Spring moves into summer, may everyone enjoy the radiance of sun and longer daylight hours, but recall that it’s not sunny for everyone. Many people do not have basic freedoms in today’s world, many women have few or no rights in countries that don’t value equally all of their citizens and remember that here at home, we have the challenge of creating a society that is fully inclusive and ensures that people with disabilities can exercise their freedoms. “Action T4” (German: Aktion T4) is likely not a familiar term to most Canadians, but to those of us in the disability/rehabilitation sector it should be, and it should remind us that ignorance and evil dealt enormous cruelty upon people with disabilities as part of the Nazi-era agenda. Our purpose must always be to recognize and support the dignity, equality and humanity of our fellow human beings, including those with disabilities. The Holocaust that resulted in the death of 6,000,000 Jews, included an official government sponsored program from September 1939-August 1941 that led to the extermination of 70,173 people with mental and physical disabilities, followed by an ensuing, less official, elimination of another 200,000+ people with disabilities. Treigartenstabe 4, the address of a villa in Berlin, in the borough of Treigarten, was the headquarters of a supposed care institution, that really served as the headquarters for Adolf Hitler’s private physician and henchmen who directed part of a eugenics program aimed at “cleansing racial enemies,” including people with disabilities or mental health issues, from the German body politic. Why must we remember January 27, 1945 and continue to memorialize those murdered and celebrate this day? Because on that day, the Soviet Red Army liberated one of the most notorious, sickening and inhuman death camps, the Auschwitz Concentration Camp which included both labour and extermination camps, where at least 1.1 million people died. The place? Oswiecim, Poland. Of those killed, “90% were Jews, but there were 150,000 Poles, 23,000 Romani and Sinti, 15,000 Soviet prisoners of war, 400 Jehovah’s Witnesses, thousands of homosexuals, and tens of thousands of other people of diverse backgrounds. Those who did not die in the gas chambers, died of starvation, forced labour, infectious diseases, individual executions and medical experiments. “ (Wikipedia) The latter practice was part of the treatment of people with disabilities under Action T4. On November 11th each year, we in Canada, commemorate the end of World War II; Remembrance Day is a day to honour our own fallen soldiers. Lest we forget, millions of people died, for no reason other than their difference, their “otherness”, their “distinctiveness”, whether in dress, beliefs, customs, language, physical appearance, mental state, or sexual preference. We honour their memory on January 27th, International Holocaust Remembrance Day, a UN sponsored commemorative day which should remind us that human beings can be extremely inhuman, that “NEVER AGAIN” MUST MEAN NEVER AGAIN, and that all human life has meaning, all human beings have value. Arising from the ashes of the crematoriums were several significant outcomes: The United Nations itself was created to help the world end hatred, end anti-Semitism, and end war. Has it been successful? The State of Israel was established by the UN, to provide a permanent home for the Jewish people, allowing Jews to return to their ancestral home, should they wish. The concepts of equality, freedom, tolerance, inclusion, diversity, became part of our lexicon and our common values post WWII. It didn’t all happen at once. In Canada, we have the Charter of Rights and Freedoms which guarantees rights to all citizens, but its taken specific legislation like Ontario’s AODA (Accessibility for Ontarians with Disabilities Act) to cover full inclusion for people with disabilities, and other institutional frameworks have also evolved to support these values. At the UN, we have an international Convention on the Rights of Persons with Disabilities, endorsed by Canada and may other countries, setting a standard on human dignity for people with disabilities. For March of Dimes, and every disability/rehabilitation organization, our legacy must include knowledge that the horror of Action T4 is the antithesis of our values, and that our vision is always to strive for a society inclusive of all people with disabilities. We have a moral obligation to remember the past and to create a better future; loving and valuing the vulnerable, and those with disabilities among us. I’m 65 and I’m Alive! Seems like an odd heading for a party invitation, but that is exactly what my Mother’s 65th birthday bash invitation said in 1989 when she celebrated by inviting over 100 people to a hotel luncheon. She had survived beyond expectation, having experienced a brain tumour at age 28 and then a broken neck from falling down our basement stairs while still recovering from brain surgery. My Mother was a walking quad, a highly energetic, socially-minded, volunteer-oriented, beautiful woman, who survived in style and humour until age 83. She fell because she insisted on doing laundry herself and on maintaining normalcy in adversity. I can hardly believe that arriving at 65 is so easy; it came so fast. My Mother never looked old; she aged beautifully, and had few lines on her face, uncalloused hands and feet, thick white hair, and sparkling clear blue eyes. She cared almost too much about how she looked, but then vanity is a medical marvel also. She wanted to always look beautiful, so she hid the neck braces behind scarves, painted her canes to match her outfits, and refused most of the time to stay home, use a wheelchair or let others do her errands. She would have worked but for her disability; in 1954 when she was diagnosed, the prognosis wasn’t good. My Mother was different. She wasn’t like other Mothers because she used a cane, could not get on a bus, never drove a car, could not lift or carry groceries, never picked up her daughters for a hug, because she physically couldn’t. She couldn’t turn her head sideways, step backwards, or wear high heeled shoes. She did try to look elegant and she never missed a party if invited, but she had to sit out the dances, much to my Father’s pleasure I think as he was much more the introvert. My Mother was an inspiration. Her friends and family heralded her achievements in just surviving multiple surgeries, and not despairing. They referred to her strength as if she had a PhD in survivorship. She drove her children crazy because of her difference, but she became a role model for taking life as it comes, feeling blessed about being alive, seeing the obstacles as mere challenges to be overcome, and expressing humour and zest for living and loving others. She was always there for me. So, as I move through this momentus year of 65, I think often of my Mother, Dinah Spindel. December 25th will be the 6th anniversary of her death, and I will think a great deal about her and the wonderful path she set for me. She set expectations, she sowed ideas of commitment, persistence, generosity and above all, caring for others. I hope at 83, I can look back on a life well lived, as she did. In June I had an opportunity to conduct my first celebrity interview. Alan Thicke, Canadian icon who sings, acts, writes, moderates shows and performs on many stages, was the featured celebrity at this year’s Ability and Beyond Gala, and I was invited to interview him prior to his performance. This took place after several professional interviews with external media so I wondered if Alan would still want to respond to questions, and developed some that might not have been asked. Alan Thicke is a warm, kind and generous man who speaks lovingly of his sons and extended family. He’s still grateful for his early years in Elliot Lake, Ontario. He believes the private business sector must partner with charitable organizations and government to care for people with special needs. He spoke of the many ways in which collaboration take place, and this plus his funny, witty portrayal of caregiving, was the substance of his presentation at the 350 person Gala on June 13th. This interview is now chalked up for me as a first, along with the following that I’ve participated in since December 2012: my bat mitzvah, volunteering with the IDF, giving a Convocation speech, going on a five day bike trip, and soon going on a three day canoe trip. As I approach another milestone birthday I’ve decided to keep creating firsts for myself . I would also hope to continue to create firsts for March of Dimes. On May 8, 2013 Ontario March of a Dimes actually ceased to exist as the name of our non profit corporation, and we officially became March of Dimes Canada. Much more will be said about this historic change in the months to come. Suffice it to say that we met all the legal requirements to continue under the new Canada Non Profit Corporations Act and are now registered federally. This allows the consolidation of all programs and services, administration and fundraising, under one brand, March of Dimes Canada. This past year we inaugurated our first transportation service, MODMobility, launched Peers Fostering Hope for stroke survivors, raised funds through our US affiliate, Rehabilitation Foundation for Disabled Persons US in partnership with the Canada California Business Council, became a founding member of BADIN, the Bridging Aging and Disability International Network, and developed an important national partnership with Pennzoil, sponsor of our 13 Rock for Dimes battle of the bands events across Canada. March of Dimes Canada experienced its most successful financial year ever in fiscal 2012-13 and completed many milestones, including adoption of a new 5 year Strategic Plan, Lifespan Community Living. These results and more will be told in our annual report which will be online the end of September. I invite readers of this blog to visit our website again after our AGM on September 27th to read the report, www.marchofdimes.ca In the meantime, I invite you to think about Firsts in your life, and never stop creating them. It’s wonderful to try novel things, to experience new places, activities and relationships. Make every year a Year of Firsts.